Rabbi Randall J. Konigsburg comes to Beth Sholom B’nai Israel with over 30 years of rabbinic experience, serving synagogues in Miami-Dade, Broward and Palm Beach Counties in Florida, and most recently Birmingham, Alabama. He has also served as a chaplain for Hospice of Palm Beach County as well as a chaplain for the Palm Beach County Sheriff’s Office. Rabbi Konigsburg graduated with a BA in Social Psychology from Florida Atlantic University. He received a B. Lit degree from the University of Judaism (now American Jewish University) in Los Angeles. He received a Master’s degree and ordination by the Jewish Theological Seminary of America and was awarded a Doctor of Divinity honoris causa in 2010. JTSA also awarded him the Simon Greenberg Award for Rabbinic Excellence. Rabbi Konigsburg has certificates in Pastoral Crisis Counseling, Kashrut supervision, Substance Abuse Pastoral Care, and has completed a Residency in Pastoral Cancer Care. He is also a Certified Fundraising Executive, and is certified in Institutional Management through the Rabbinical Assembly and the Jewish Theological Seminary. He is a graduate of the Institute for Jewish Spirituality seventh Rabbinic cohort. In South Florida he was past President of the SE Region of the Rabbinical Assembly, President of the Broward Board of Rabbis and Vice President of the Palm Beach County Board of Rabbis. Rabbi Konigsburg has a long standing commitment to Interfaith activities. He was President of the Delray Beach Interfaith Clergy Association and the Inter-Faith Council of Hollywood where he served as President and was awarded the David Keating Award for his Inter-faith work in South Broward County. He is a member of the Southside Interfaith Council in Birmingham. Rabbi Konigsburg was recently a member of the national board of Mercaz, the Zionist organization of Conservative Judaism. He has taught and worked at Camp Ramah Darom in Georgia as well as Camp Ramah in Palmer, MA. He has helped lead teens on the March of the Living twice and was awarded the Golden Shofar award from Israel Bonds. Rabbi Konigsburg is married to Michelle and they have three children: Rabbi Ashira (Tim Bernard) Konigsburg, Eitan (Alexandra) Konigsburg, and Hillel (Sarah) Konigsburg. For more information on Rabbi Konigsburg, Please visit his website at www.rabbikonigsburg.com. 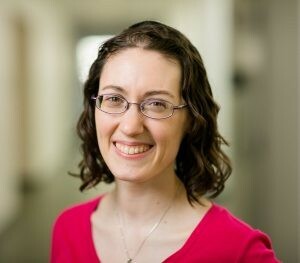 Cantor Sarah Bolts was ordained as a cantor in June 2016 at Hebrew College in Newton, Massachusetts, where she also earned a Master’s in Jewish Studies.Before coming to Beth Sholom B’nai Israel, Cantor Bolts served as cantorial intern at Congregation Beth El in Bethesda, Maryland; and at Shir Hadash Reconstructionist Havurah in Newton, Massachusetts. She has served as student cantor, professional Torah reader, and ba’alat t’fillah at numerous communities in Massachusetts including Mishkan Tefila in Brookline; Temple Emeth in Chestnut Hill; the Vilna Shul in downtown Boston; MIT Hillel in Cambridge; and her alma mater, Smith College. Cantor Bolts has also taught Hebrew school at Temple B’nai Brith in Somerville, Massachusetts; and tutored b’nai mitzvah students through Gateways: Access to Jewish Education. From 2009-2017, Cantor Bolts was an active member and leader at Moishe Kavod House, a social justice-oriented community for Jewish young adults located in Boston, Massachusetts. Cantor Bolts is married to Michael Chernicoff. For more information on Cantor Bolts, please visit her website at www.sarahbolts.com.